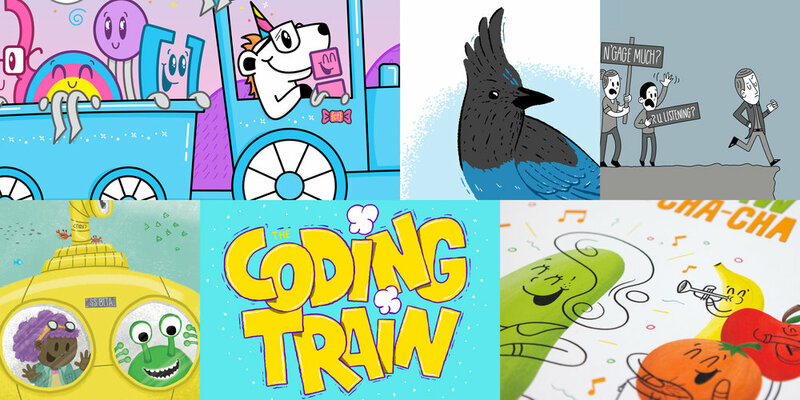 I've helped bring all sorts of stories to life from simple logo projects, to full brand identity development, design, infographics and even fun children's books. Do you have a project you need help with? We were originally attracted by the wonderful aesthetic of Jason’s work, but soon discovered there were additional qualities we had not expected - reliability, conscientiousness, exceeding fairness, and the desire to please - that makes working with him a rare joy. My illustration style is pretty loose, fun and colorful with some retro vibes sprinkled in for extra flavor. This lends itself well to children’s books, info graphics, t-shirt designs, and posters that lean into fun lighthearted vibes. I’ve worked on a variety projects ranging from identity systems, window displays, wall graphics, print design, and web promos that combine illustration with design. Whenever I’m not working on projects for other people, I’m following my personal creative drive to bring to life all sorts of ideas ranging from characters, to illustrated scenes, games, and books. Need help? I’m always on the lookout for new projects.